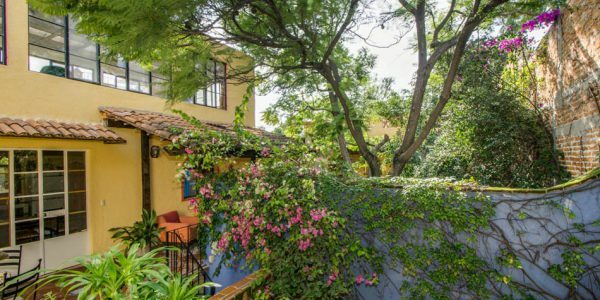 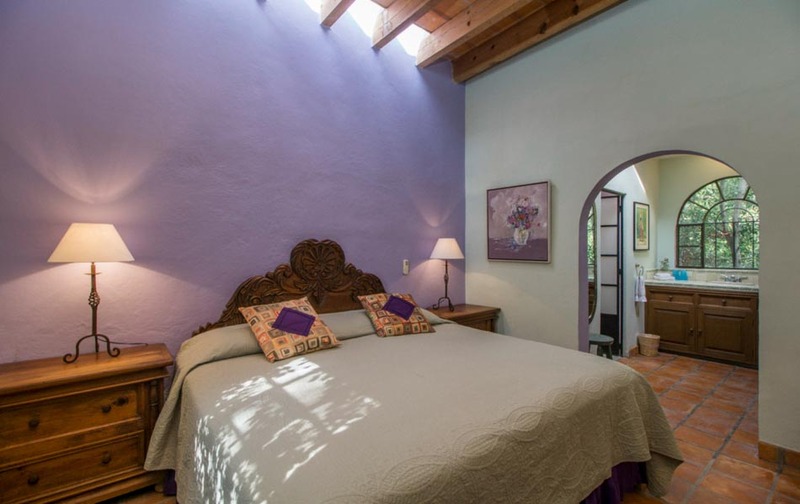 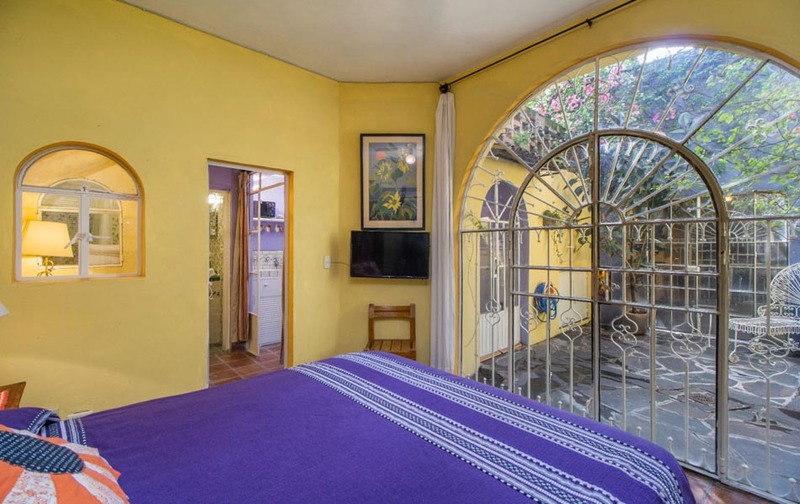 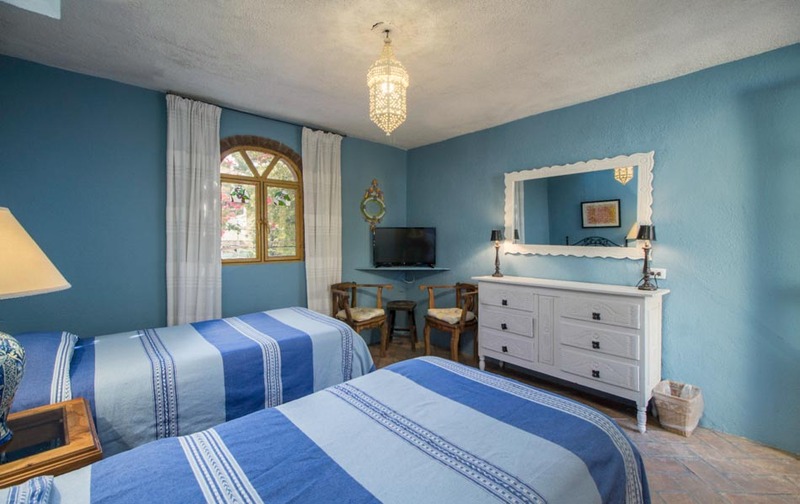 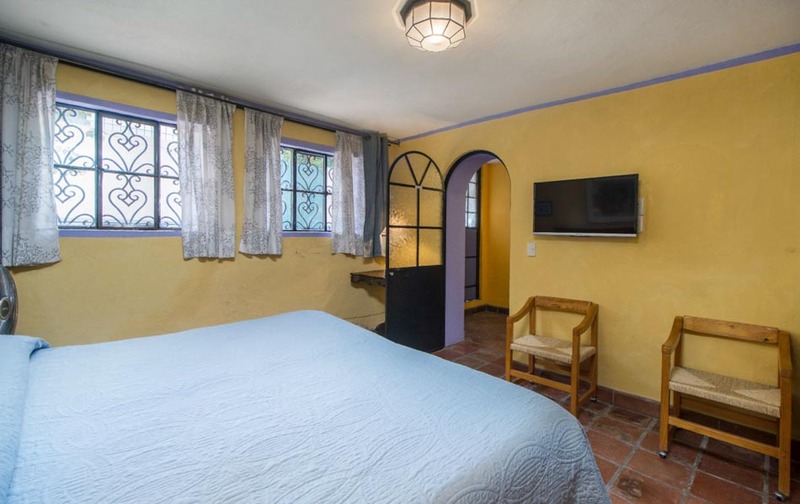 This Boho-Chic-Colonial inspired Bed & Breakfast, is a block from Centro, and located on the most coveted street in Colonia San Antonio. 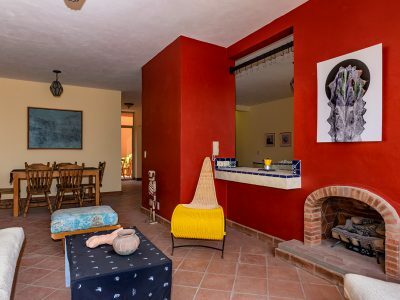 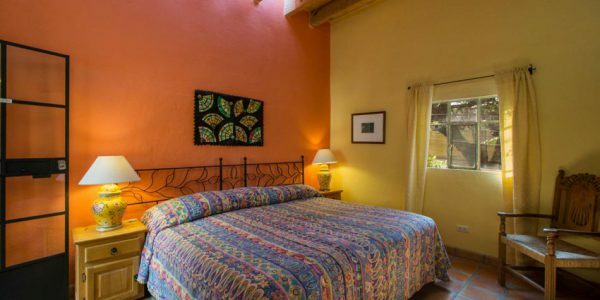 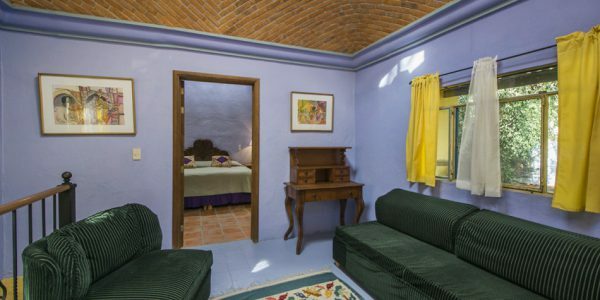 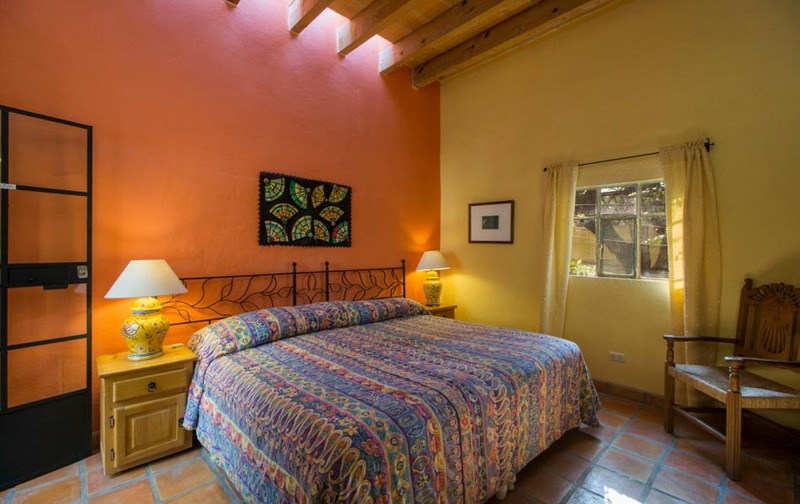 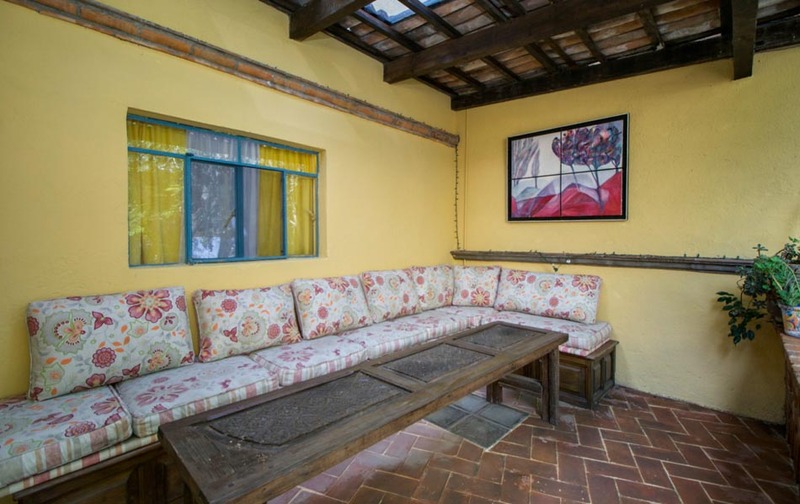 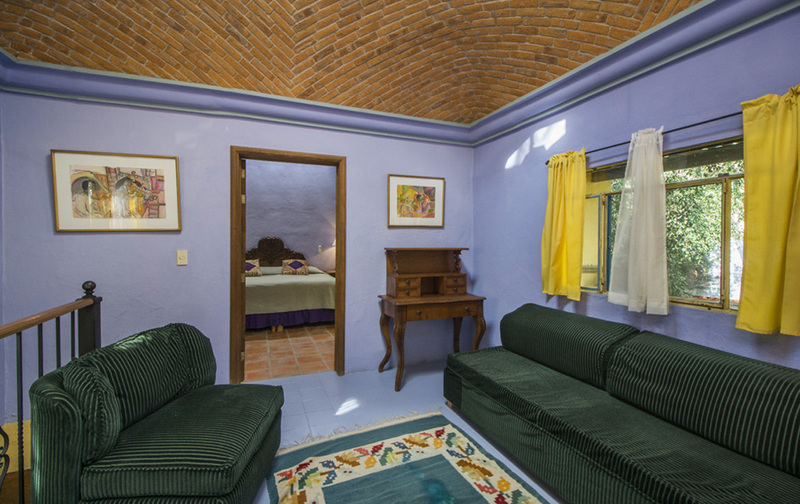 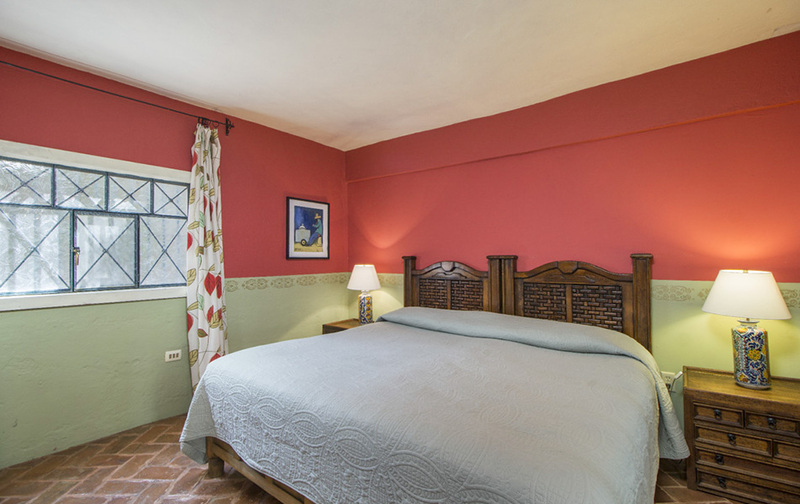 Casa Contenta caters to travelers who appreciate easy comfort, great value and stylish surroundings. 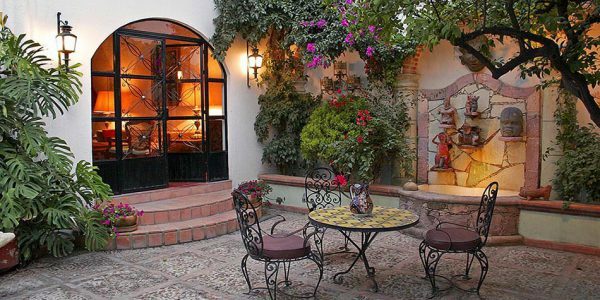 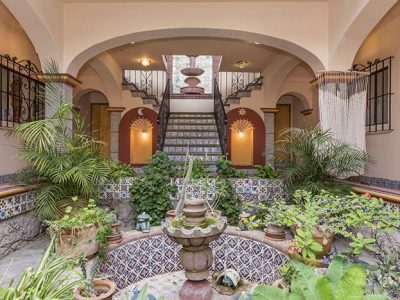 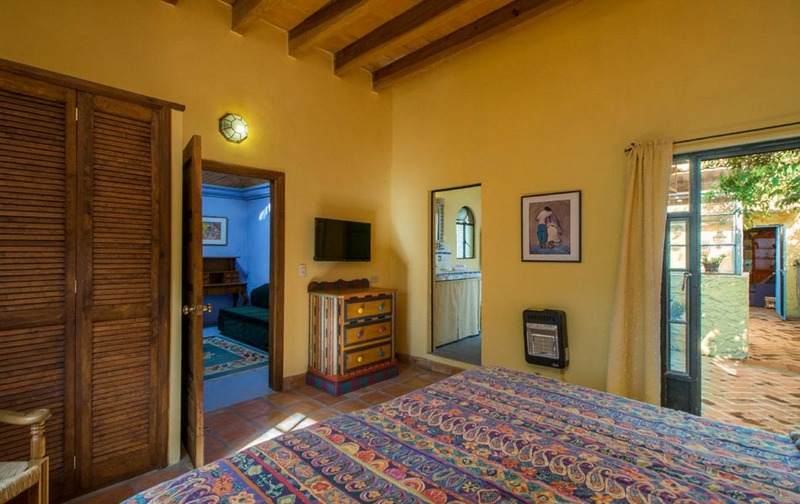 This country-style guesthouse is a traditional home loaded with Mexican charm. 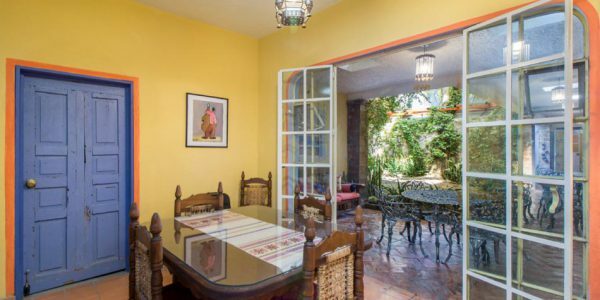 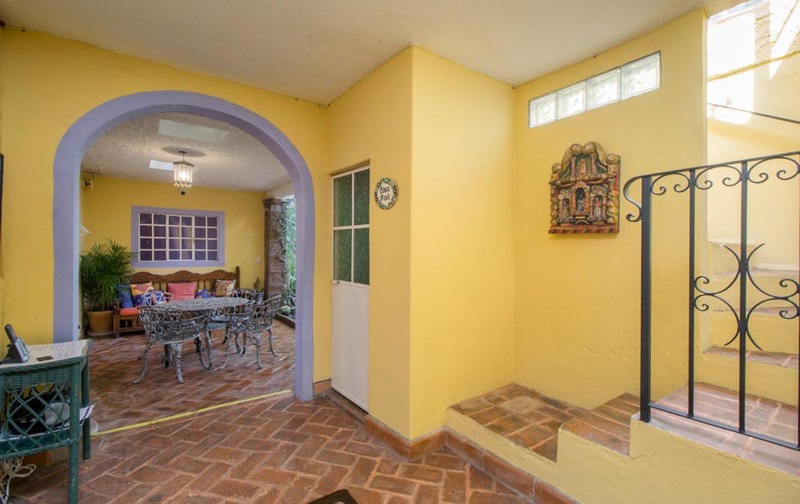 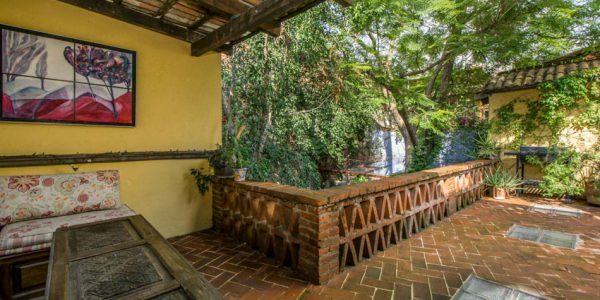 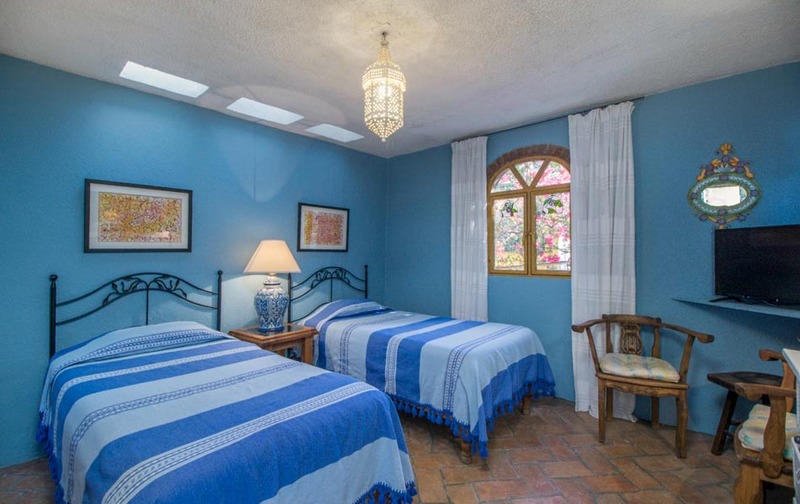 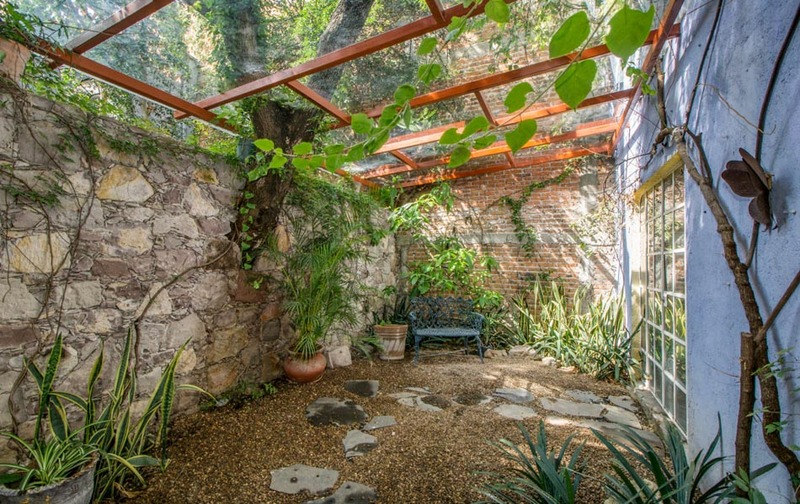 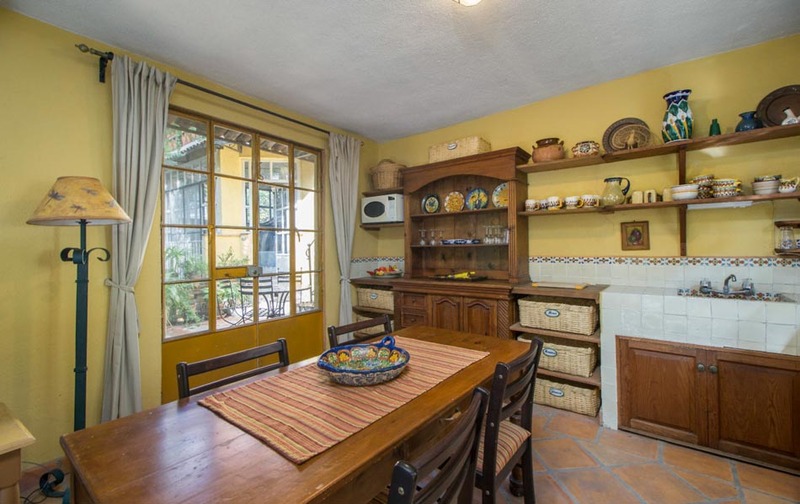 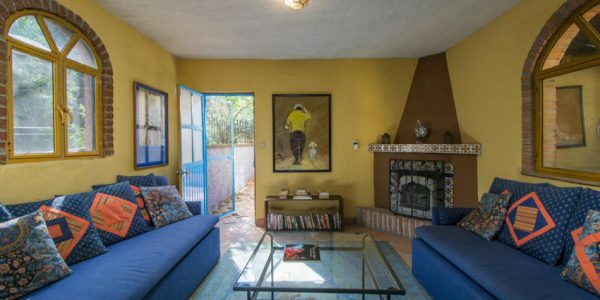 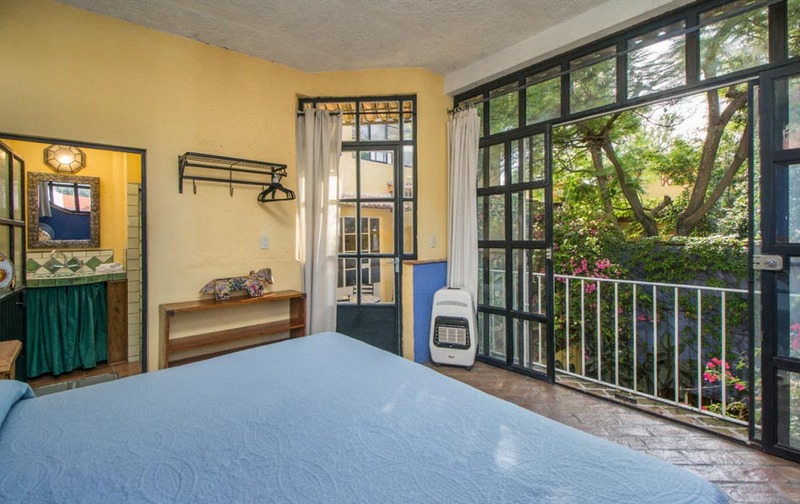 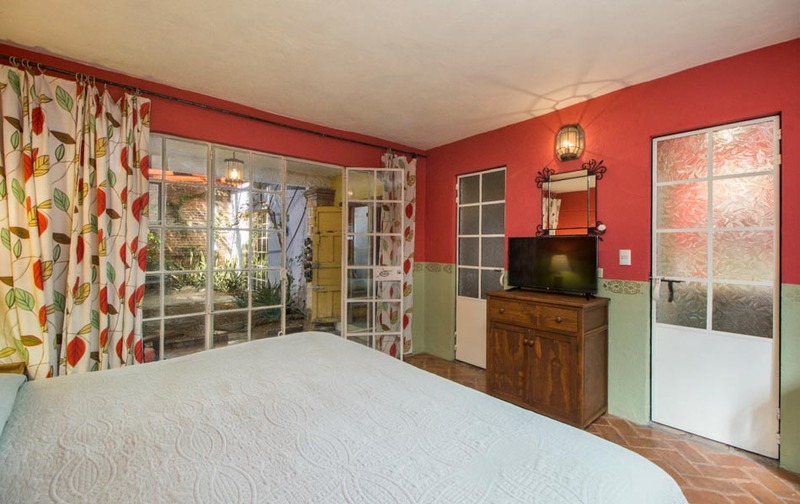 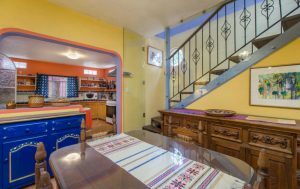 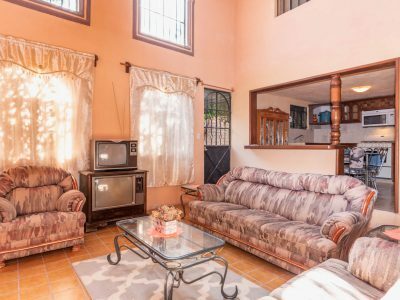 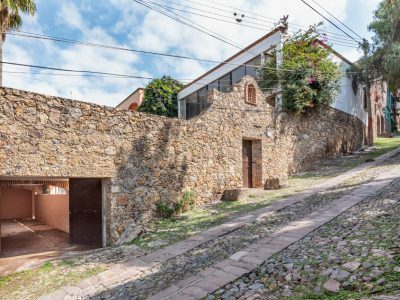 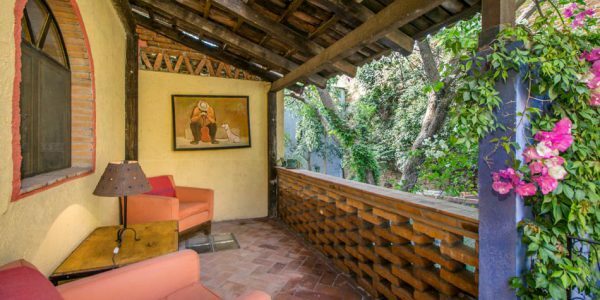 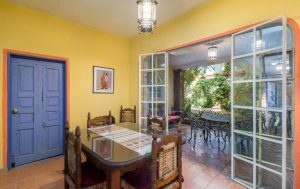 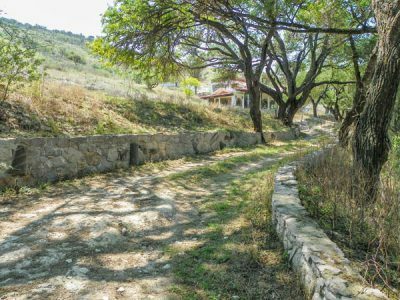 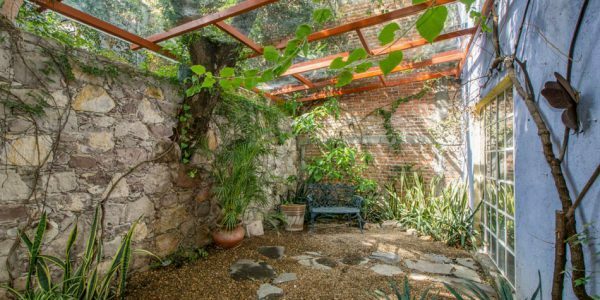 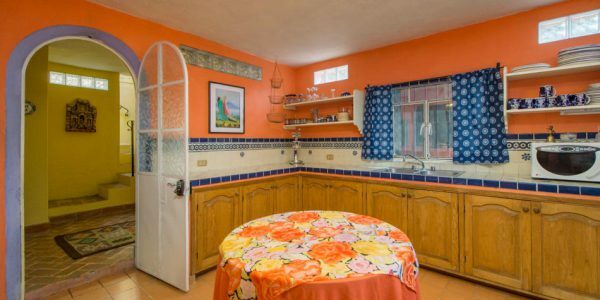 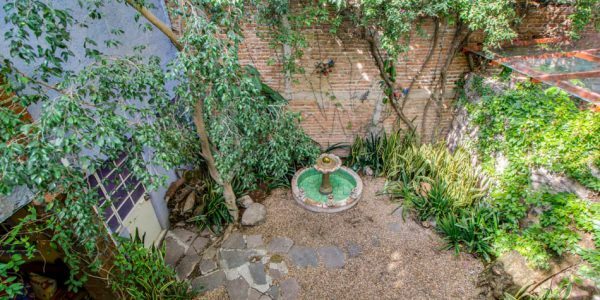 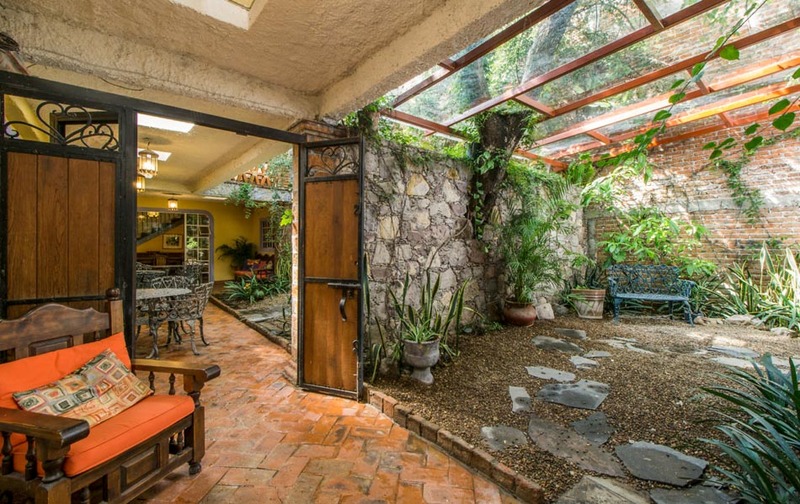 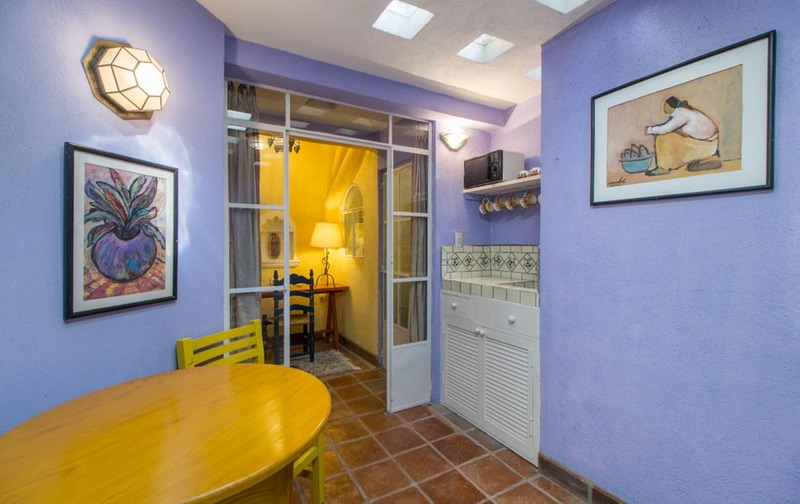 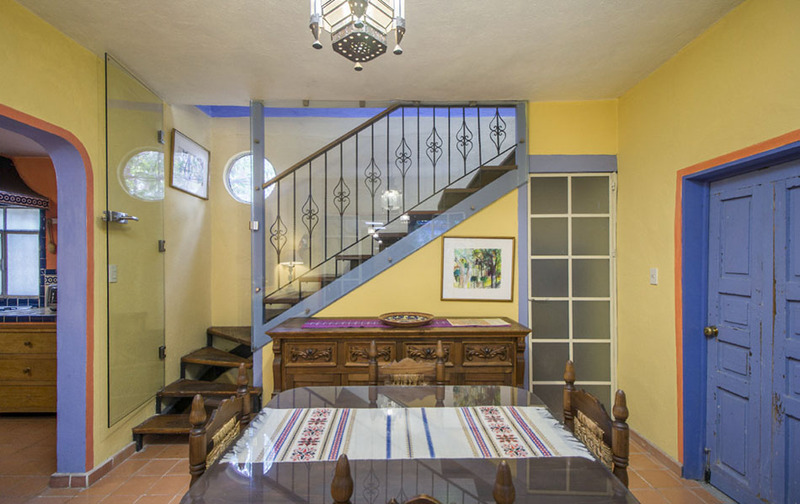 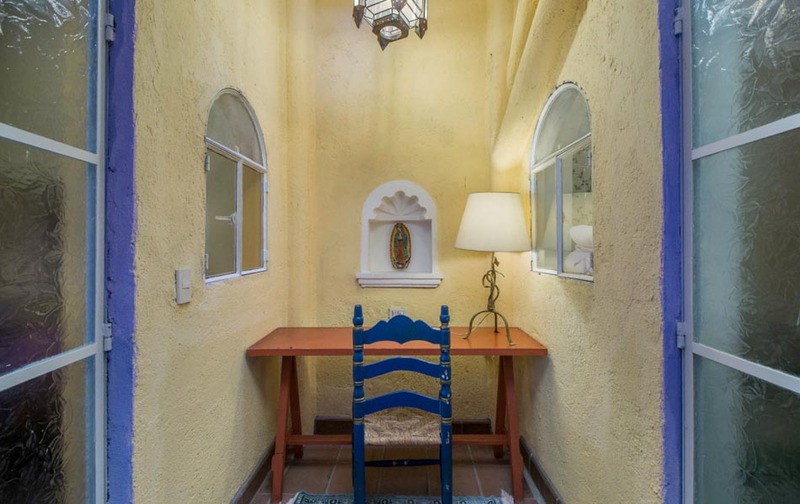 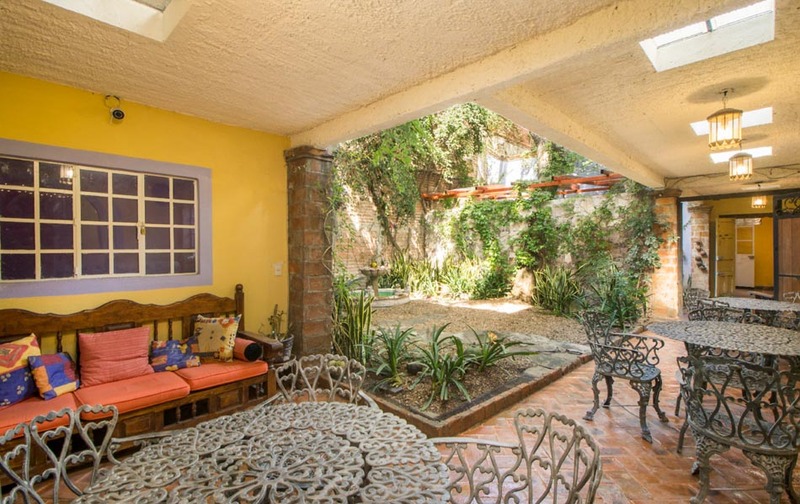 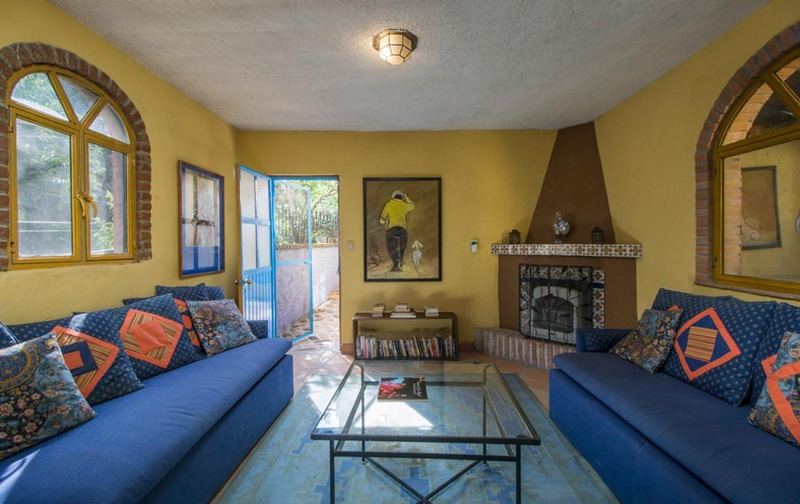 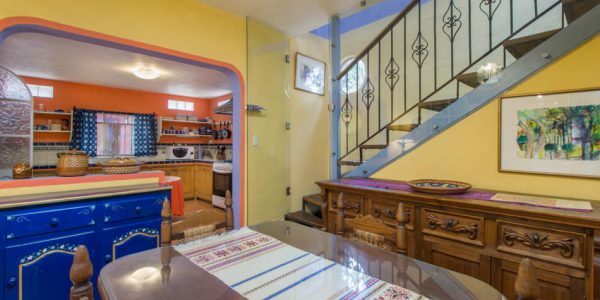 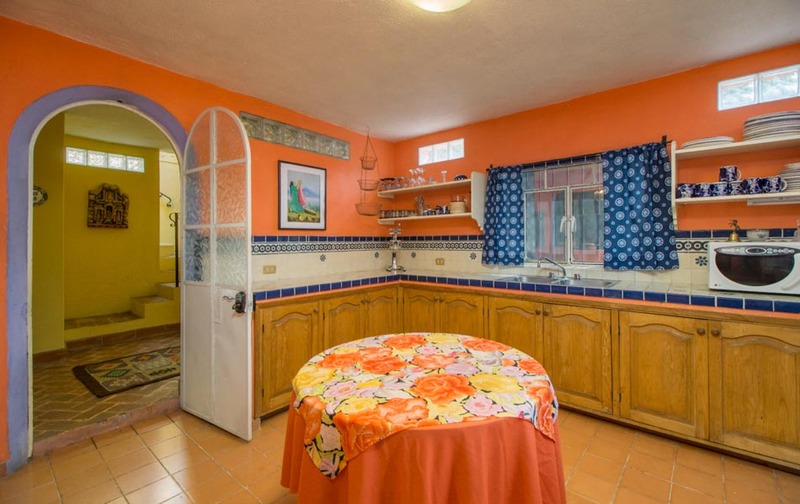 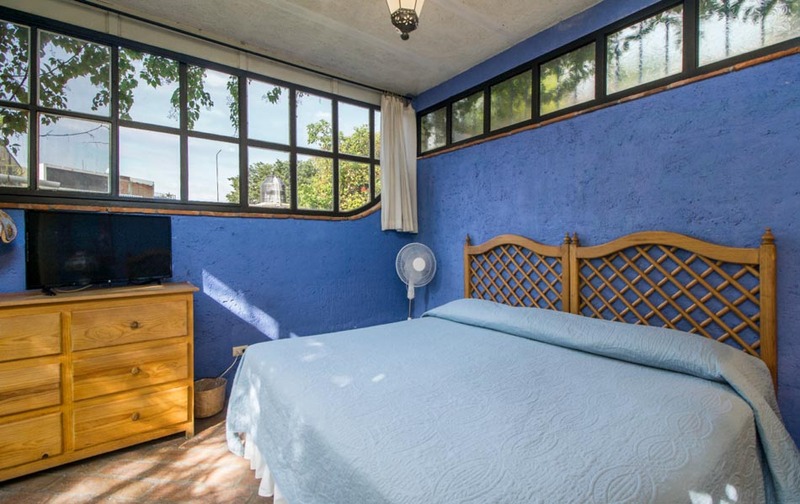 Idealy located within a five minute walk to Centro and six blocks west of the Parroquia, this corner-lot-home is well positioned on a peaceful and romantic tree-lined street. 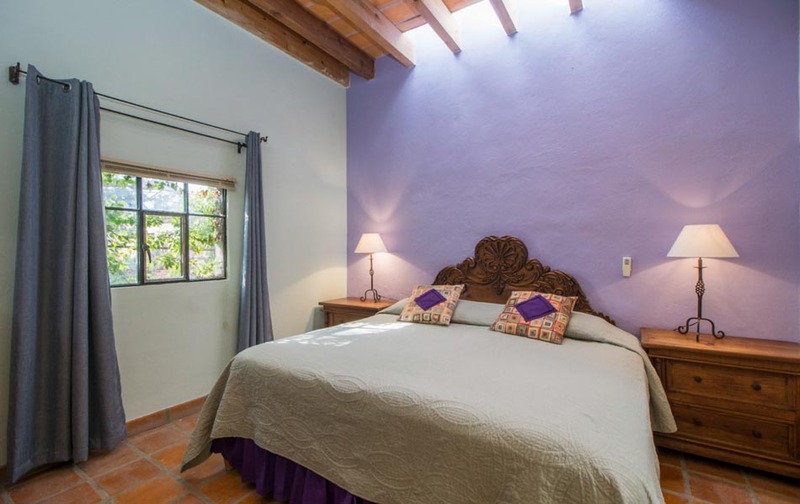 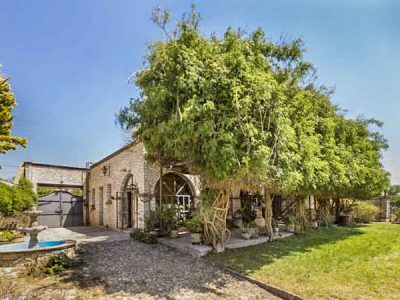 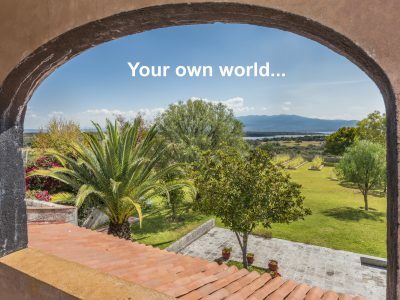 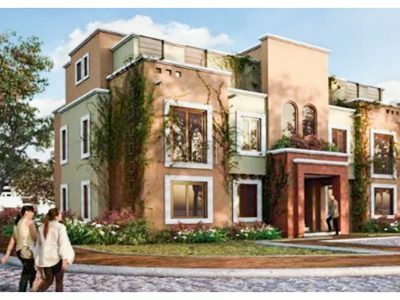 Casa Contenta is a spacious seven bedroom home. 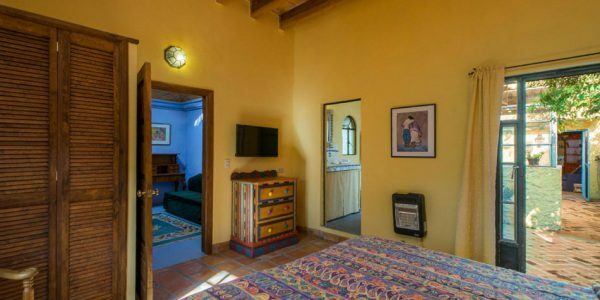 All bedrooms have en-suite bath, flat screen TVs, purified state-of the-art purified water system and Bosch-on-demand water heaters. 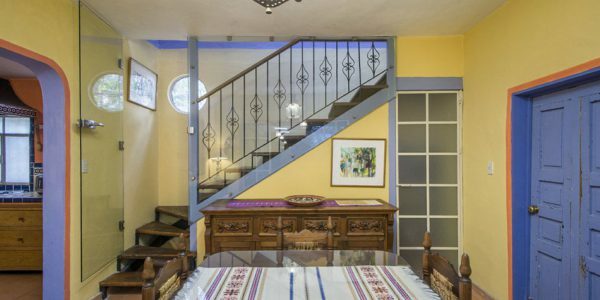 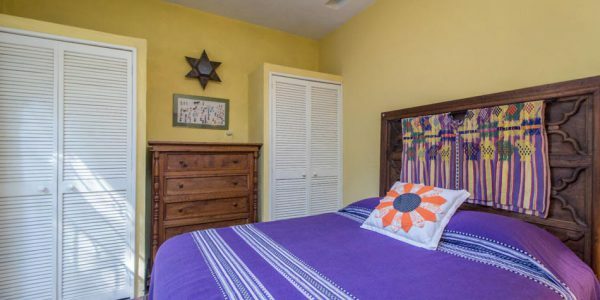 This B&B is being sold fully-furnished and accommodates up to 15 people, making it perfect for groups, family reunions and traveling workshops. 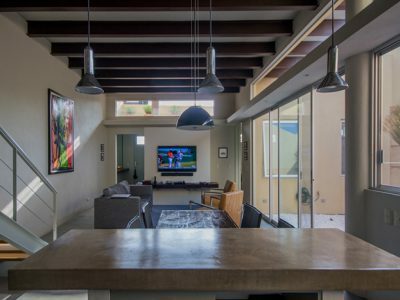 House guests have access to two fully equipped kitchens, two living rooms, several patios, and outdoor sitting areas with gardens and rooftop views. 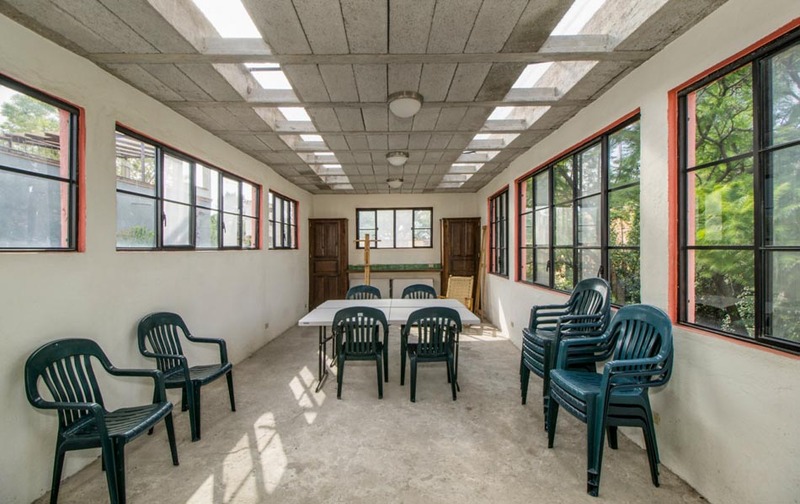 A sunlit project room with a half-bathroom on the third floor is ideal for all kinds of activities or it can be transformed into a spacious master-suite, private gym, yoga or dance studio. 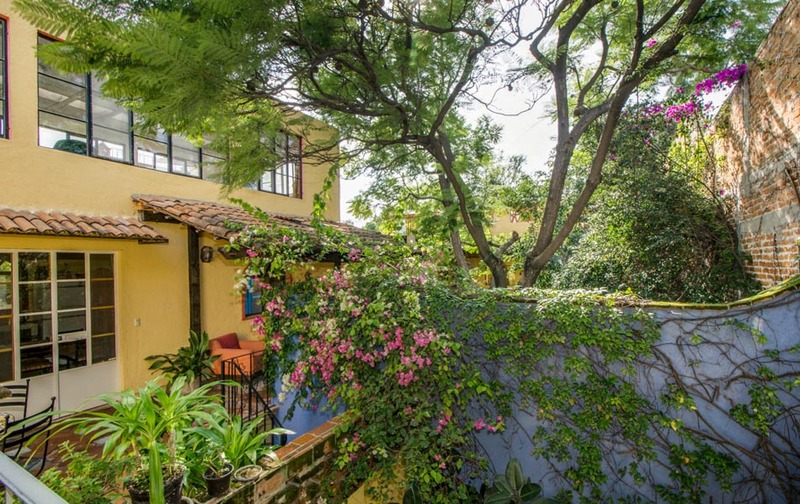 Guests enjoy ample street parking. 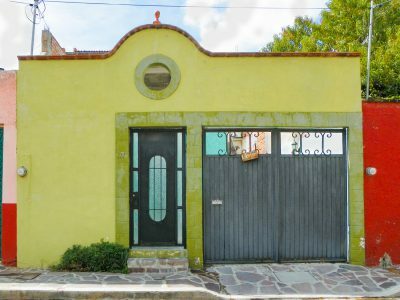 There is also a private owner’s garage. 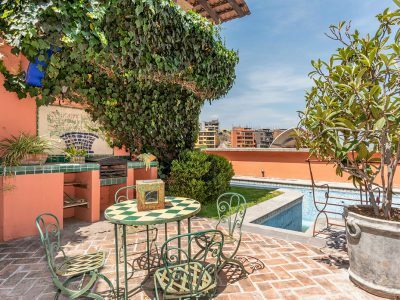 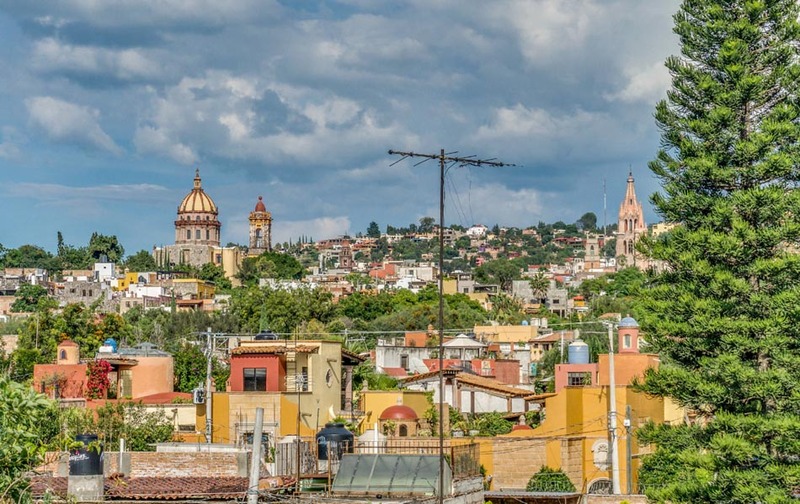 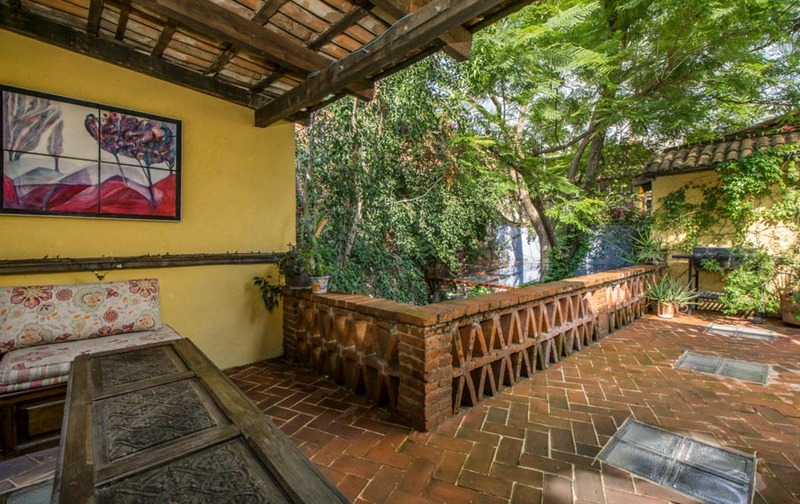 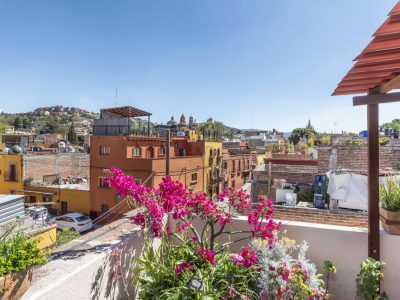 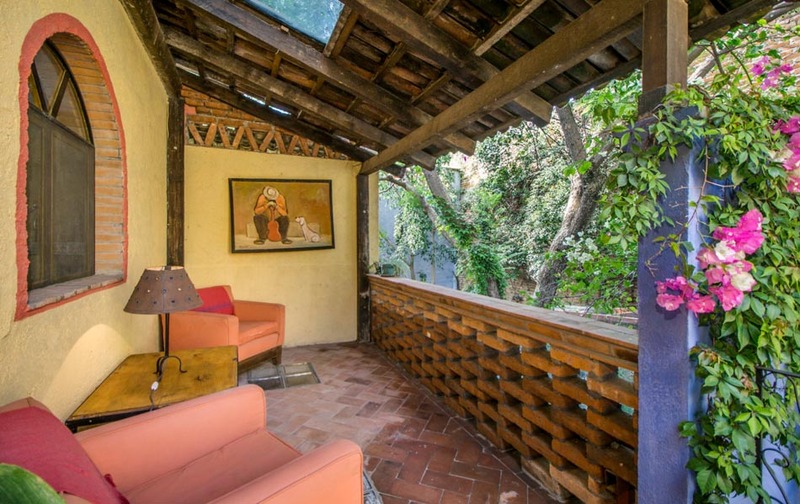 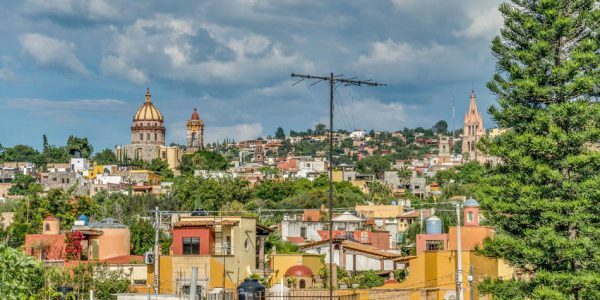 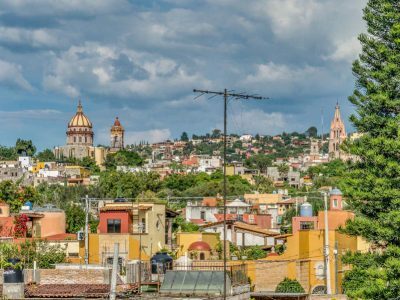 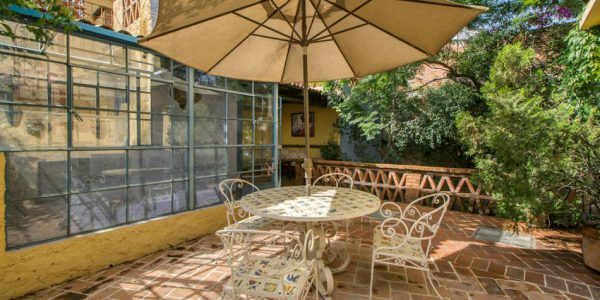 Sweeping terraces boast city views to the Parroquia and Las Monjas. 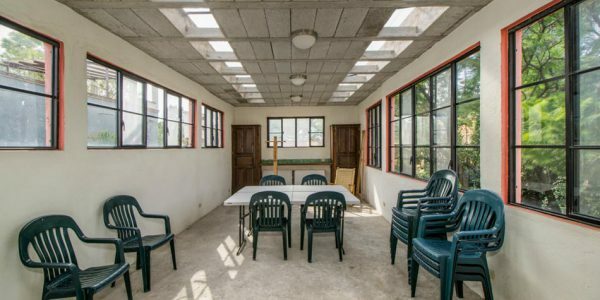 A newly added “studio/workshop room” makes this an ideal haven for guests seeking an inspired refuge from the city sounds of fireworks and roof dogs. 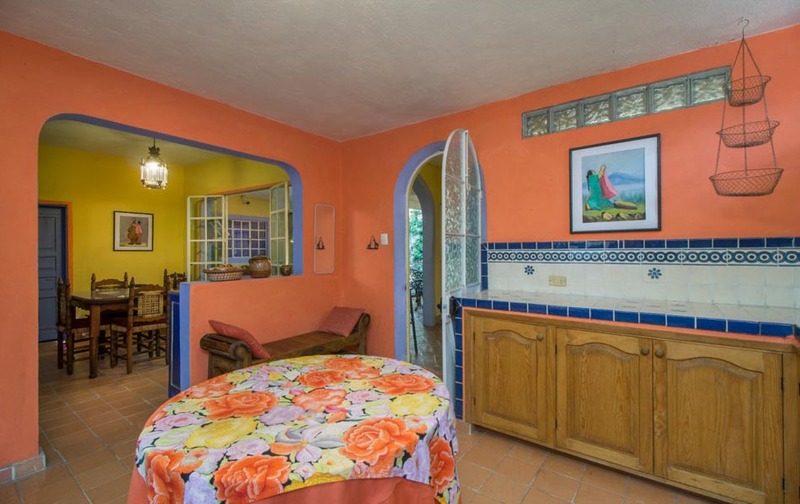 An opportunity like this won’t last long in this booming tourist market, so contact me to set up a showing! 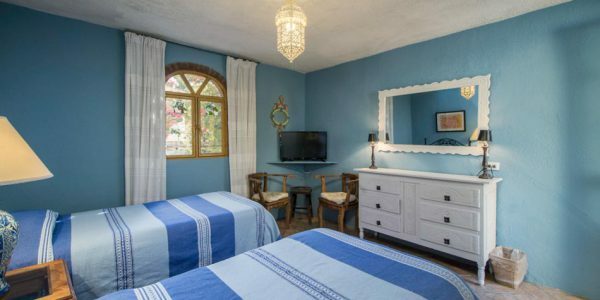 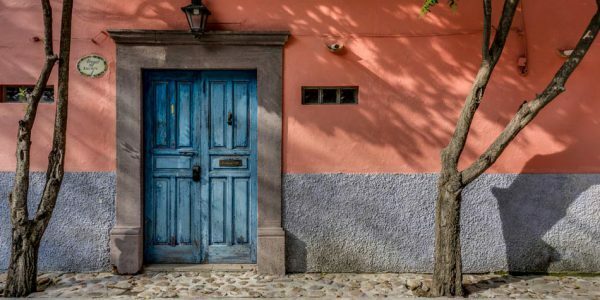 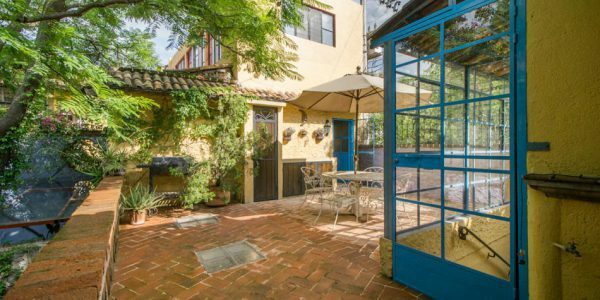 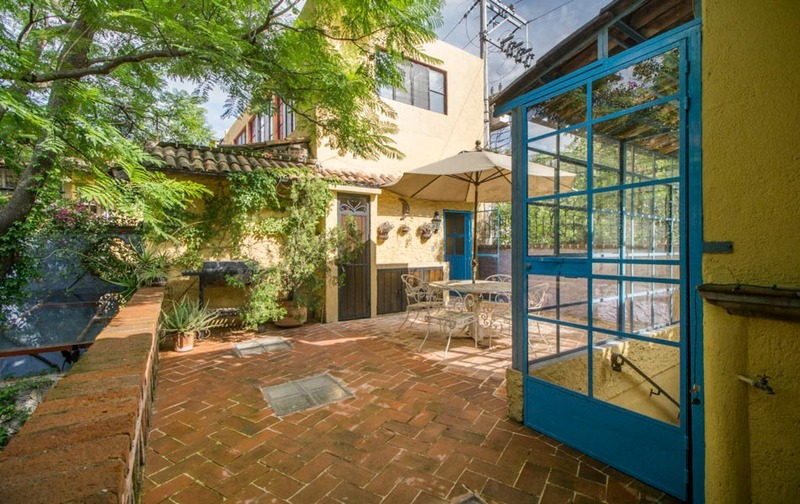 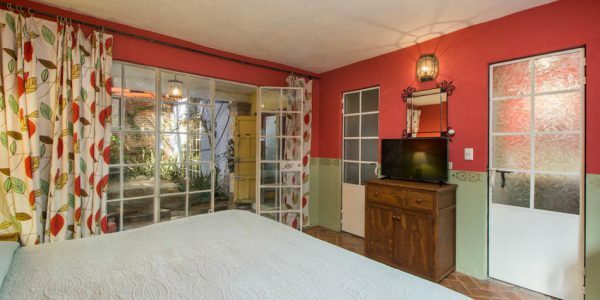 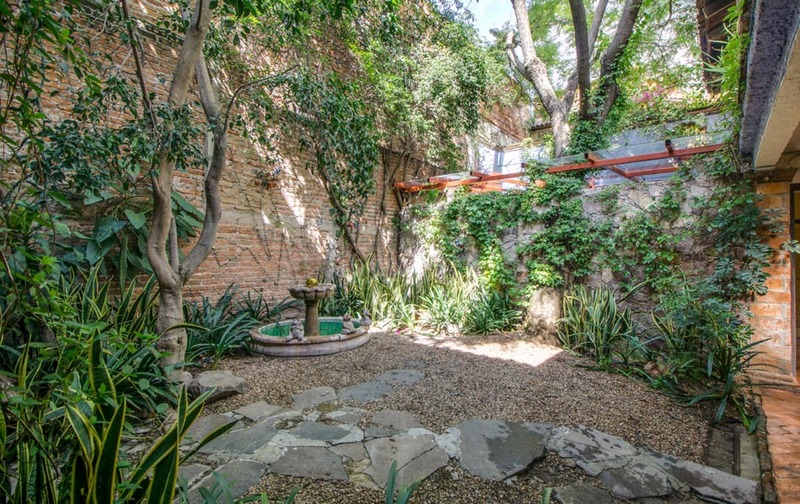 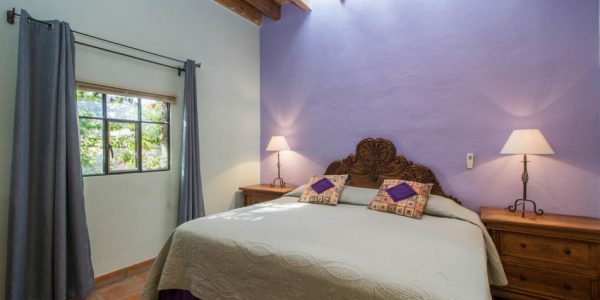 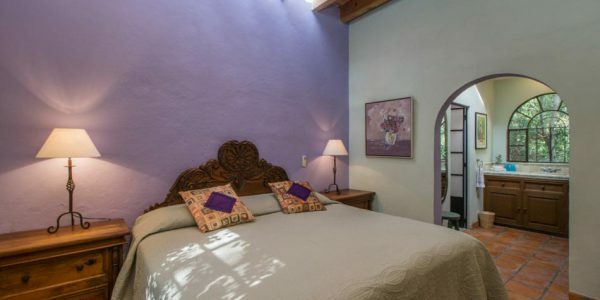 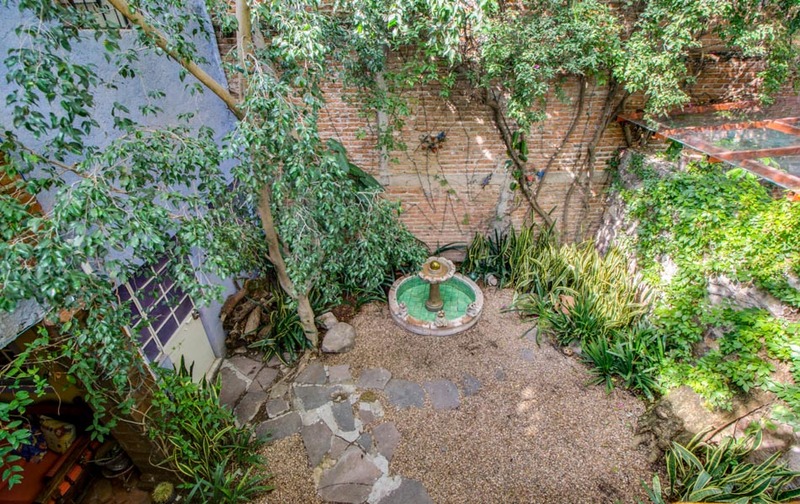 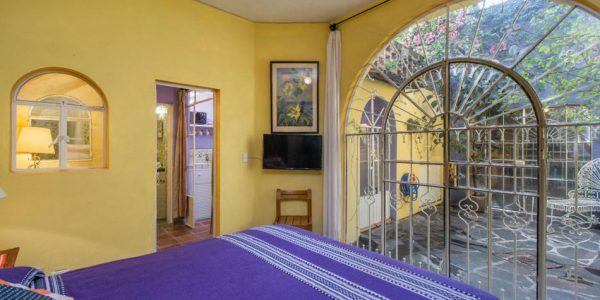 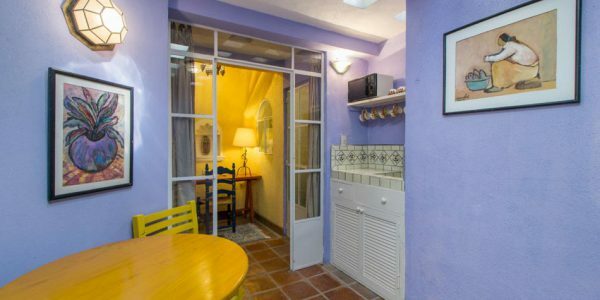 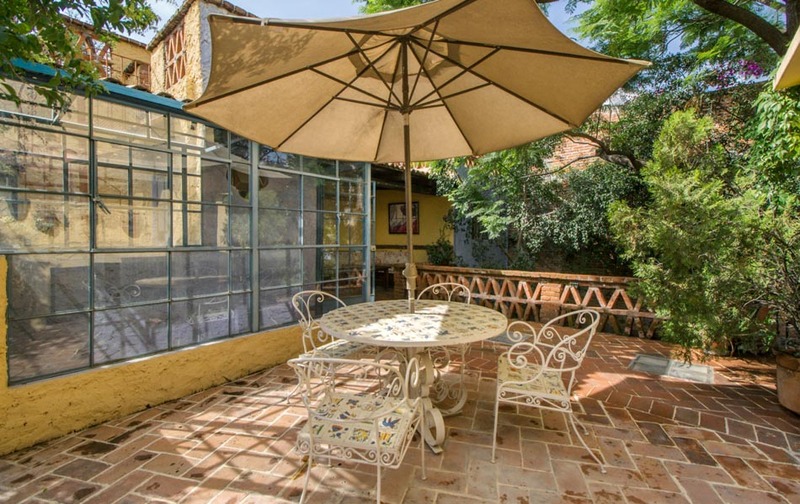 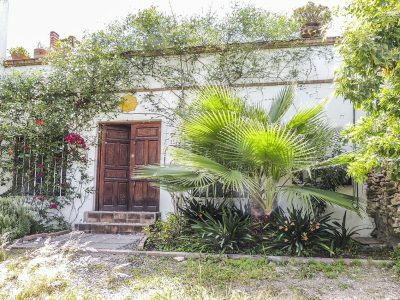 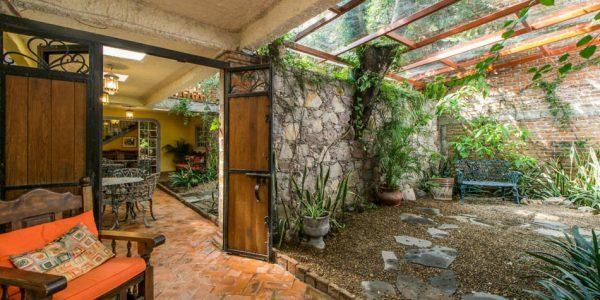 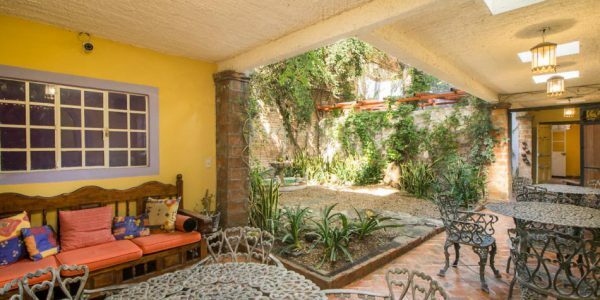 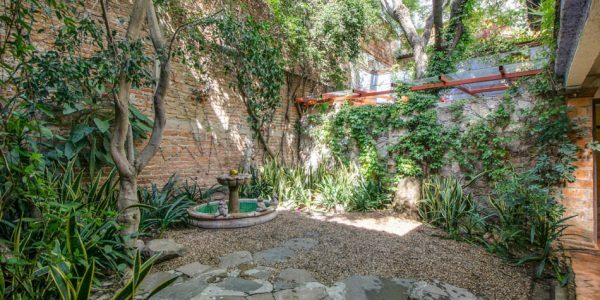 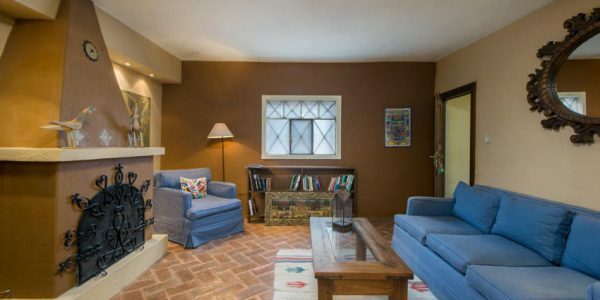 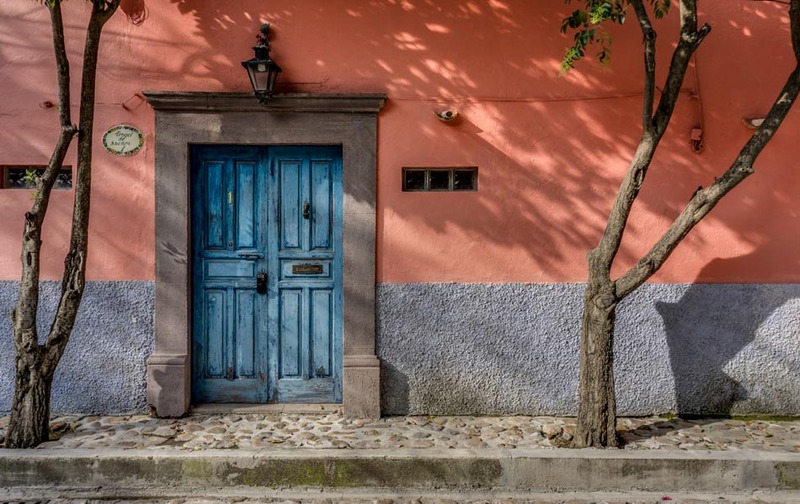 Este Bed & Breakfast de inspiración Boho-Chic-Colonial, está a una cuadra del Centro, y ubicado en la calle más codiciada de la Colonia San Antonio. 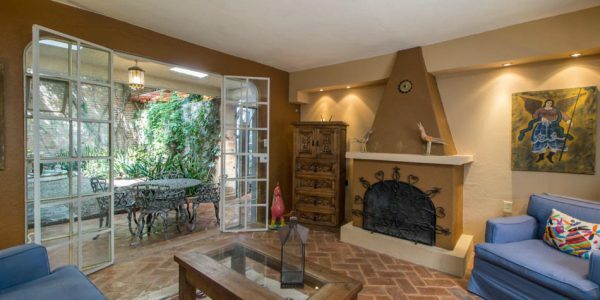 Casa Contenta atiende a viajeros que aprecian el confort, la comodidad, el valor y la elegancia del entorno. 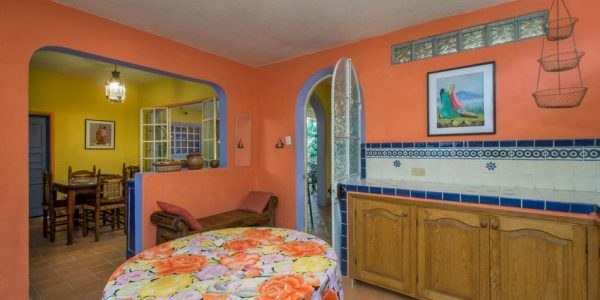 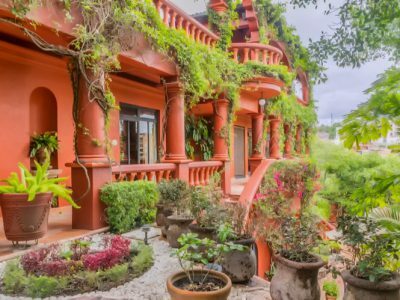 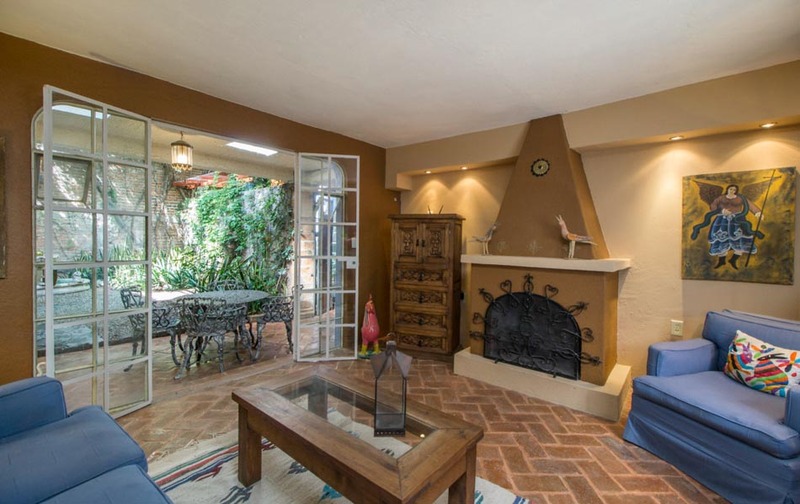 Esta casa de campo es una casa tradicional cargada de encanto mexicano. 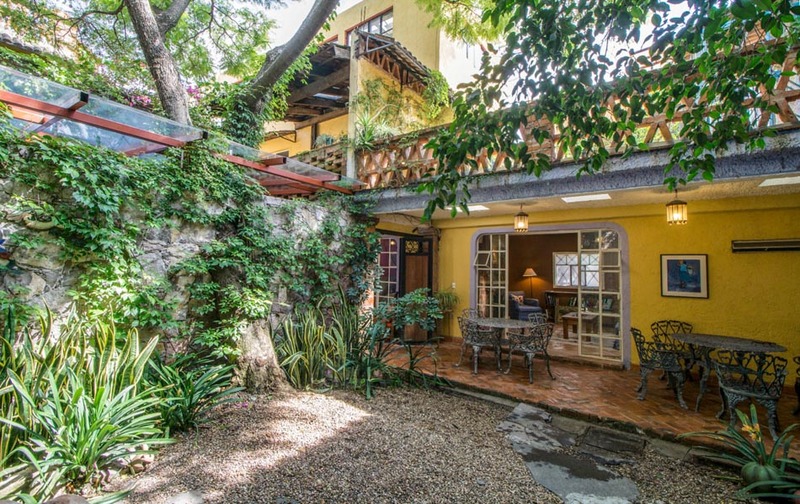 Idealy situado a cinco minutos a pie del Centro y seis cuadras al oeste de la Parroquia, esta casa en esquina está bien situada en una calle tranquila y romántica bordeada de árboles. 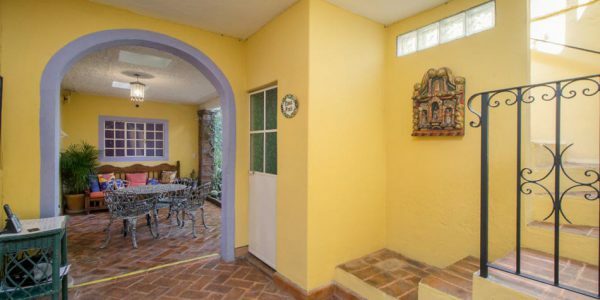 Casa Contenta es una espaciosa casa de siete dormitorios. 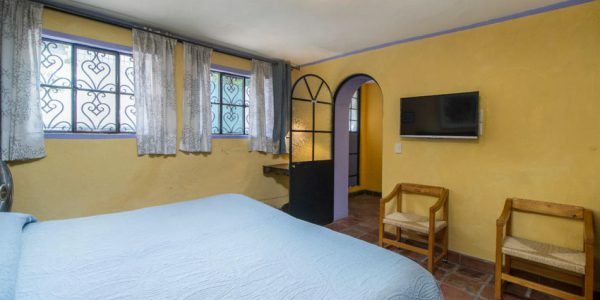 Todas las habitaciones tienen baño privado, TV de pantalla plana, sistema de agua purificada de última generación y calentadores de agua a pedido de Bosch. 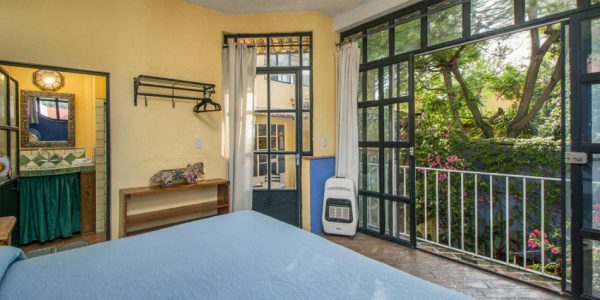 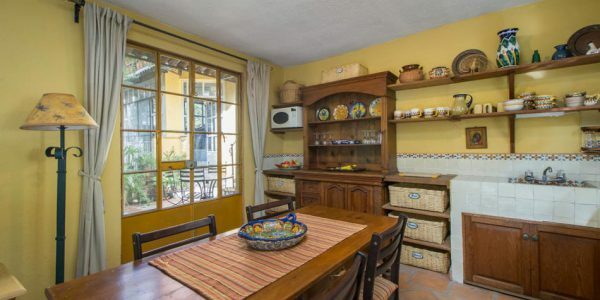 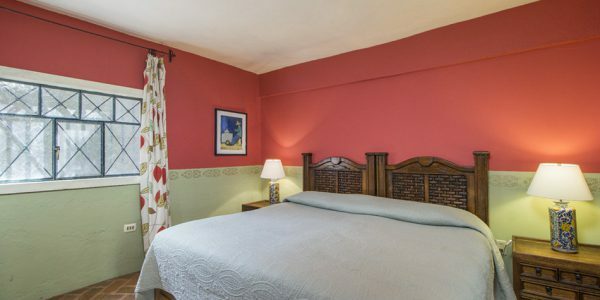 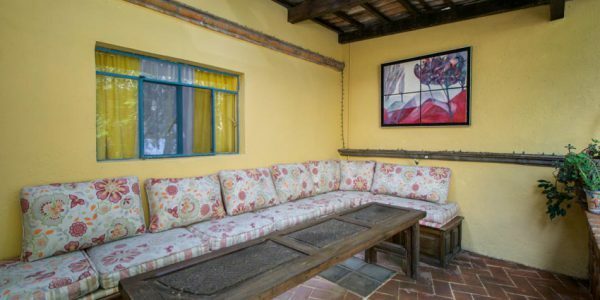 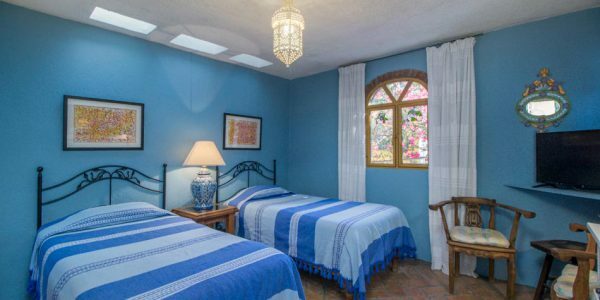 Este B&B se vende completamente amueblado y tiene capacidad para 15 personas, lo que lo hace perfecto para grupos, reuniones familiares y talleres de viaje. 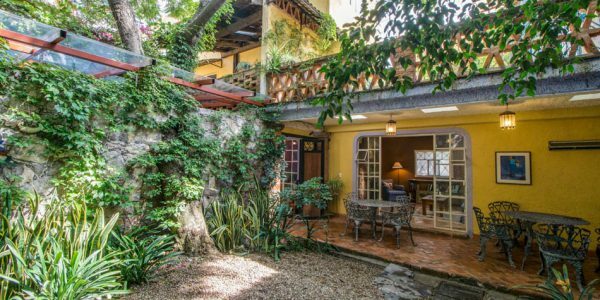 Los huéspedes de la casa tienen acceso a dos cocinas totalmente equipadas, dos salas de estar, varios patios y áreas de estar al aire libre con jardines y vistas a la azotea. 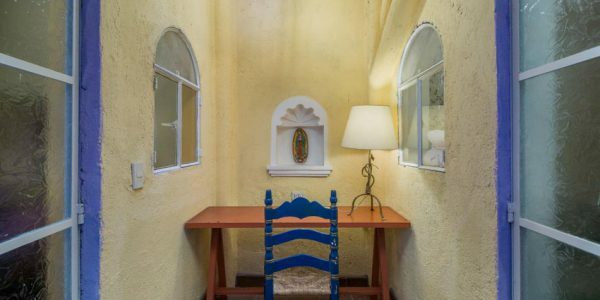 Una sala de proyectos iluminada por el sol con medio baño en el tercer piso es ideal para todo tipo de actividades o puede transformarse en una espaciosa master-suite, gimnasio privado, estudio de yoga o danza. 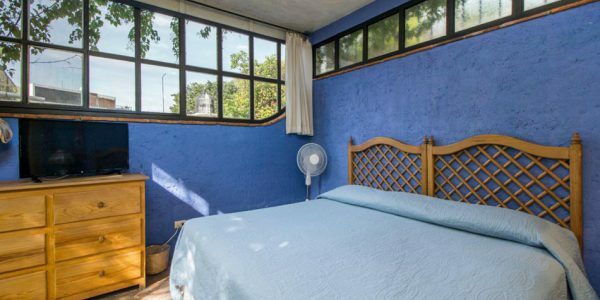 Una oportunidad como esta no durará mucho tiempo en este mercado turístico en auge, así que póngase en contacto conmigo para organizar una muestra! 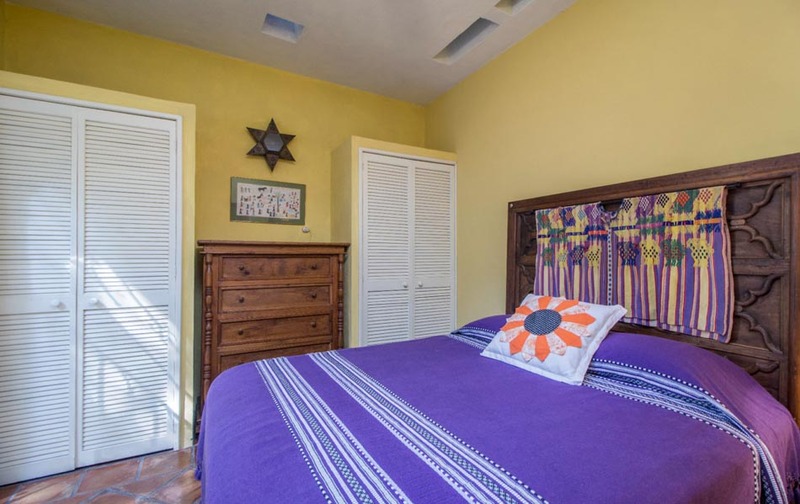 Javier was born in Mexico City but moved to New York at a young age. 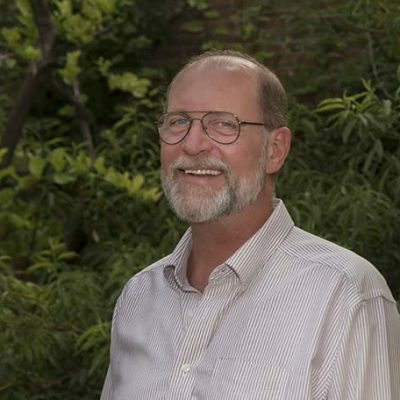 After attaining his degree from Colgate University, he entered the construction industry as a partner in a building supplies company. 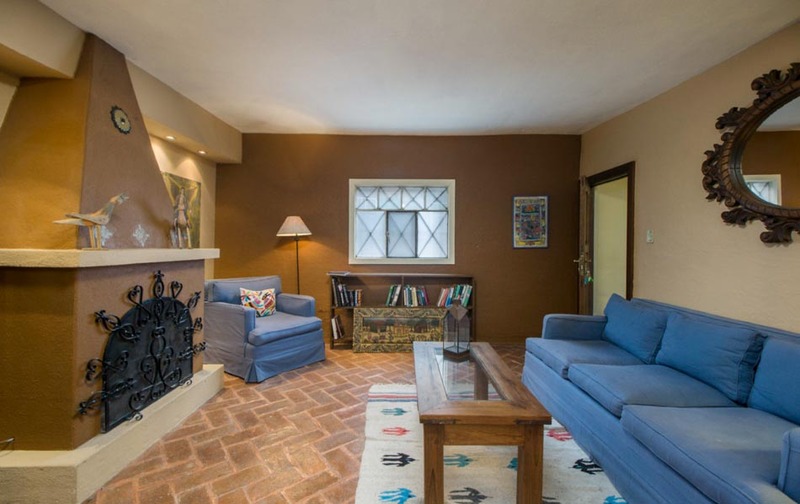 Educating himself about quality construction..
RE/MAX ID: 2501 Neighborhood: San Antonio On a quiet cul-de-sac in north Colonia San Antonio, this light-filled 3-bedroom/3.5-bathroom home has ..
RE/MAX ID: 2488 Neighborhood: San Antonio Upon entering from the cobble stone street alongside the San Antonio Church into the sweet lime ..